Congratulations to Émilie Dufour (Global Supply Chain Management specialization), winner of the 2016 award for the best Master's thesis. Her thesis, entitled Analyse et conception d’un réseau d’entrepôts d’aide humanitaire : le cas de l’Organisation des Nations Unies pour la réponse en Afrique de l’Est, greatly impressed the jury. Only the top theses were considered for the award. 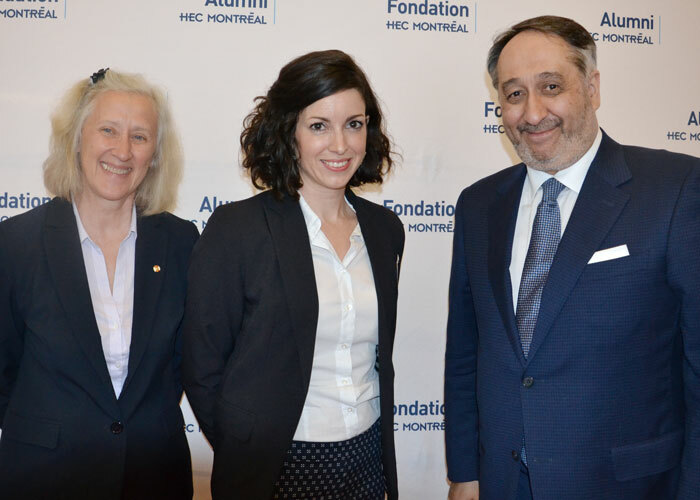 Supervised by Professors Julie Paquette and Marie-Ève Rancourt, Émilie’s thesis was written jointly with the United Nations Humanitarian Response Depot (UNHRD), a division of the World Food Programme that is responsible for pre-positioning emergency supplies. It analyzed the potential savings involved in creating a two-level storage network, i.e. by adding a regional pre-positioning level to the existing structure. Based on data from the field, her analysis considered the case of Kampala as a regional pre-positioning site to meet demand in East Africa. The simulation of demand scenarios and mathematical modelling led to positive conclusions, suggesting potential savings on the order of 21.16% on average, and recommendations were presented to the UNHRD regarding the creation of the regional depot. Her findings were presented at UNHRD Head Office, in Rome, in July 2015. Based on her recommendations, the Kampala depot was opened that same year. Two other regional depots are now being set up, in Djibouti and Douala. In addition to recognition for the project from international humanitarian authorities, it has received great visibility in the scientific community. An article on this subject, entitled “Logistics Service Network Design for Humanitarian Response in East Africa,” was published in the Omega journal in January 2017, co-authored with Gilbert Laporte, Marie-Ève Rancourt and Julie Paquette. It also received the Practice Prize from the Canadian Operational Research Society (CORS). The study has also been presented at a number of major events, including the annual conferences of the Production and Operations Management Society (Orlando, 2016), INFORMS (Nashville, 2016) and the Canadian Transportation Research Forum (Montréal, 2015). Professor Laporte has also reported on Émilie’s findings at various foreign institutions, including Aarhus University (Denmark) and the Universidad de Sevilla (Spain). Lastly, the quality of her research earned Émilie a position as a logistics consultant with the UNHRD, in Rome, in January 2016, where she helped to optimize inventory levels of key relief items through the worldwide network of depots. After five months, she was deployed to Nepal as emergency response preparedness project manager, where she developed a national natural disaster response strategy. In this position she supervised a team of 15 people and managed a $7 million budget.